A Segway is a two-wheeled, self-balancing, battery-powered electric vehicle. You will control the Segway with your body. The user commands the Segway to go forward by shifting their weight forward on the platform, and backward by shifting their weight backward. It stops as soon as you stand upright. It is not hard to find the right balance as the Segway is self-balancing. It is like skiing out of snow, child’s play. Take a look on the page ‘What is a Segway’ for more information. When can I drive a Segway? People who are 16 years or older can use a Segway. Segway Rotterdams has helmets, it’s required to wear a helmet when you use a Segway. It’s also important to wear good shoes, no heels and no flip-flops. Take a look on the page ‘What is a Segway’ for more information. Splashtours starts and ends at Parkhaven, next to the Euromast (navigation Parkhaven 9). Segway tours are available from €47,50 per person, for al our prices click here. You can make your reservation on our website, at the Rotterdam Info Store or at ‘De Zwarte Zwaan’. Combination tickets must be reserved online. You can make your secure online payment with Ideal or your credit card. 2 Rotterdam.info is conveniently located in Rotterdam on the corner of Coolsingel and Binnenwegplein (Coolsingel 195-197), at 15 minutes walking distance from Central Station. The store is also easy to reach by tram or metro subway. 3 There is also a branch at Stationsplein 45, adjacent to Central Station. How will I know when my payment has been processed? When your payment is processed, you will receive a confirmation email from Ogone. Your reservation can be changed without charge for up to 14 days. You can call: 010-436 04 25 or send an email to info@segwayrotterdam.nl Click here for our cancellation policy. After payment has been processed, you will receive an email with payment confirmation. Soon after, you will receive a second email which includes your ticket. I can’t print the ticket, is this a problem? If you have only booked a Segway ticket, it is not a problem if you are unable to bring your ticket. We do recommend writing down the ticket number (5 numbers) for verification purposes. You will be added to our passenger list after your booking has been processed. If you have purchased a combination ticket, you must print at least one copy of the ticket and bring it with you. If you do not have a printer at home, we recommend visiting the public library at Blaak to use the printers there. I haven’t received my tickets, what’s wrong? 1 The email has been diverted by your spam filter. In that case, open your spam folder and see if you can find your ticket. If you are unable to find it, we recommend giving us a different email address at info@segwayrotterdam.nl or by phone at 010-436 04 25. If you are unsure, it is best to contact Splashtours in order to verify the accuracy of your email address. You can do this by sending us an email at info@segwayrotterdam.nl or calling 010-436 04 25. There is no free parking in the city center of Rotterdam, and you can only pay using a debit card. We recommend parking your car at the Parkhaven. This is the nearest available parking lot. At the Parkhaven they use so called ‘license plate’ parking, you can use the parking meter* or leave your car sign at restaurant De Zwarte Zwaan to skip the parking line, you can pay directly at our desk for the time your car is parked at the Parkhaven. *It can be busy at the parking meter! Please be aware of a possible long wait at the parking meter. Are any handicapped parking spots close by? 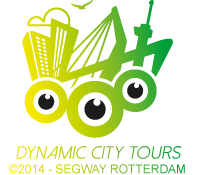 Does Segway Rotterdam offer tours in the autumn and winter months? Yes, we provide tours every month of the year. In case of inclement weather conditions, such as ice or heavy snow, certain tours in the months of November – February may be cancelled or postponed. Is Segway Rotterdam accessible for guests with reduced mobility? Unfortunately, it is not possible to go with the Segway Tour if you have a reduces mobility. What is the expiration date on my gift certificate? Segway Rotterdam gift certificates do not have an expiration date. Your gift certificate will not expire. You may use the facillities of restaurant De Zwarte Zwaan across the starting point of Segway Rotterdam. Where can I have lunch, dinner or cocktails? You can enjoy a delicious meal and drinks at Restaurant De Zwarte Zwaan at Parkhaven 9 on Thursday – Saturday after 4:00 PM, and on Sunday after 3:00 PM. Does your group include 20 or more persons? We are happy to open the doors earlier to offer you a lovely lunch. Click here to see the various options.